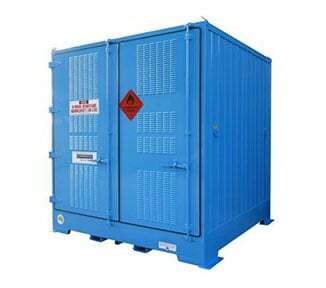 The PS4508SS is a heavy duty safety cabinet for storing larger quantities of Class 8 corrosive substances (450 litre capacity). 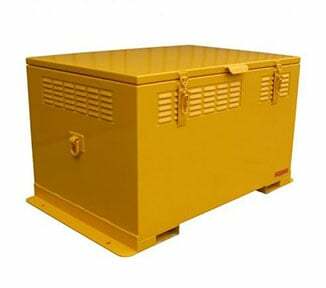 This chemical cabinet is 25% stronger than standard cabinets for corrosive substances, and will safely isolate your corrosives from incompatible substances and Dangerous Goods. 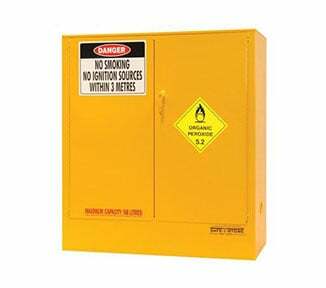 Features of the PS4508SS include: twin hydraulic-action doors which automatically close in sequence (no jamming or sparking); 2-PACK corrosion-free polyurethane finish; warning placards, and a compliant spill sump. 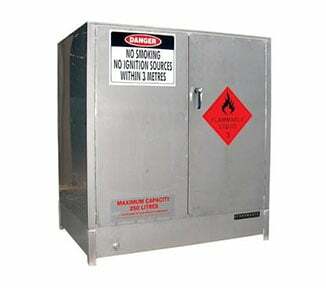 The PS4508SS is part of STOREMASTA’s innovative SUPER SERIES — a range of chemical storage cabinets when you need to store larger quantities of corrosives and flammables. 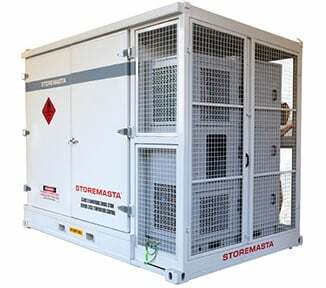 Order your Large Capacity Corrosive Substance Storage Cabinet from STOREMASTA today. goods being stored in this unit? Would you like to increase storage space with additional shelves? 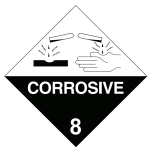 Are you storing or handling Class 8 Corrosives at your worksite? 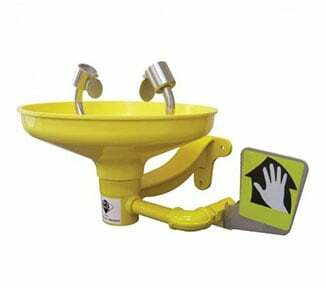 You may require an emergency decontamination facility like this combination safety shower and eyewash station. Part of STOREMASTA’s innovative SAFE-T-WASH© range, the unit is made from stainless steel and permanently mounted to the floor. 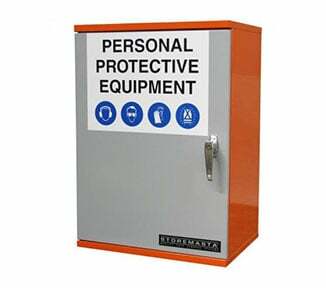 Injured workers or contractors can quickly locate the decontamination facility thanks to the high-vis yellow protective coating (corrosion resistant), then activate the unit using a single hand or foot action. STOREMASTA guarantee a safe and steady flow of water under varying water supply conditions because of their innovative automatic pressure compensating valve. 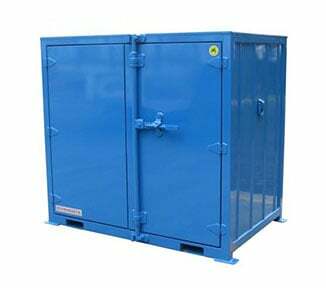 The emergency decontamination facility is 100% Australian made and fully compliant with Australian Standard AS 4775:2007. Order the combination safety shower and eyewash station direct from STOREMASTA today. 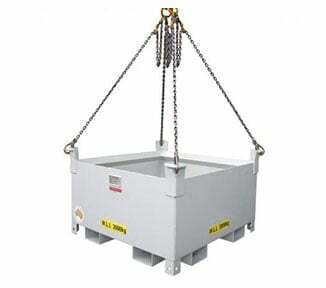 How are you situated with the unloading and packaging removal of this unit? How will you stop clutter from building up on top of this unit? Would you like to add protection against graffiti?